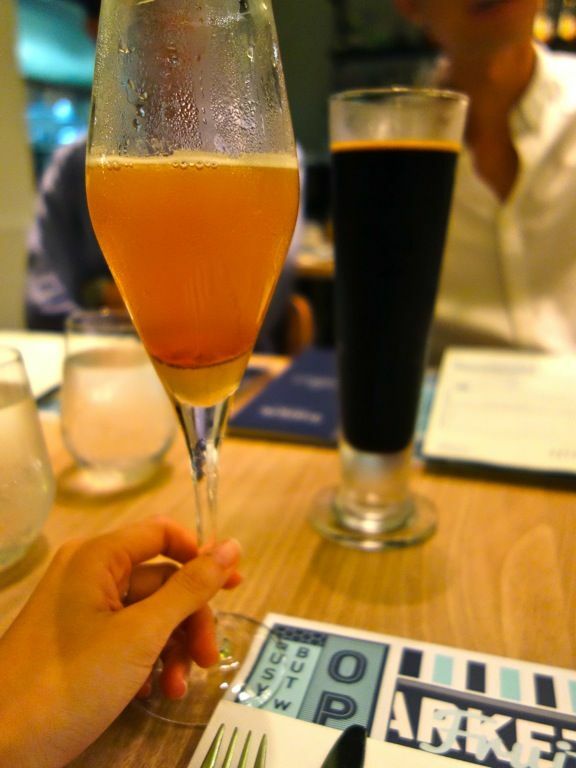 Fusion is a dirty word in Singapore, mostly due to the many ridiculous restaurants jumping on the bandwagon and giving fusion a bad name. Thankfully, there's Pidgin Kitchen and Bar to the rescue, doing a creative fusion that has never been attempted before. This 2 month old restaurant in Dempsey (it was formerly Pamplemousse) does some mean South East Asian inspired dishes that are bold, playful and refreshingly fun! We started with some drinks and i had the Pigeonmail ($28) made from Diplomatico Reserve Rum, Lime, Ginger, Honey and Cava. 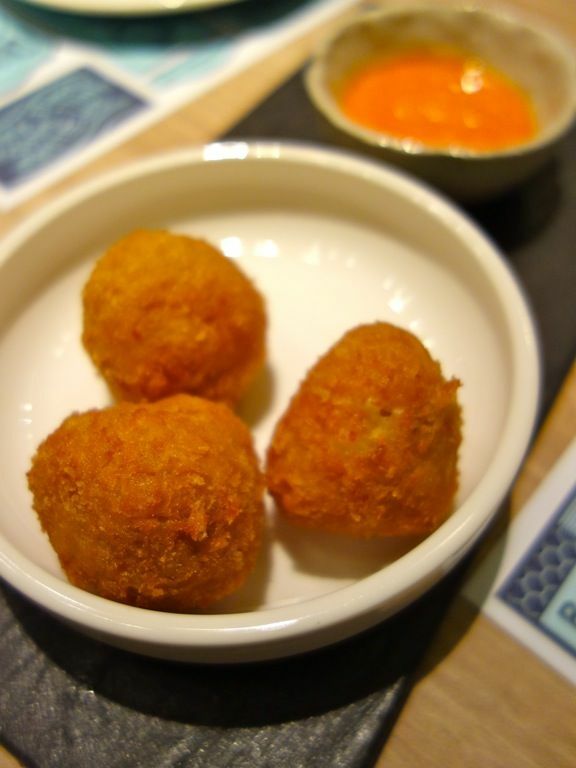 *Must eat* Chicken Rice Arancini ($8). This is one chicken rice that i'd gladly have on a regular basis. The ingredients and execution is Italian, with Carnaroli rice and Scarmoza cheese used. The rice was cooked in chicken fats, giving it that fragrant and savory flavor. The garlic chili jam (it's not spicy) hit all the right notes without any of that pungent aftertaste. Love it! 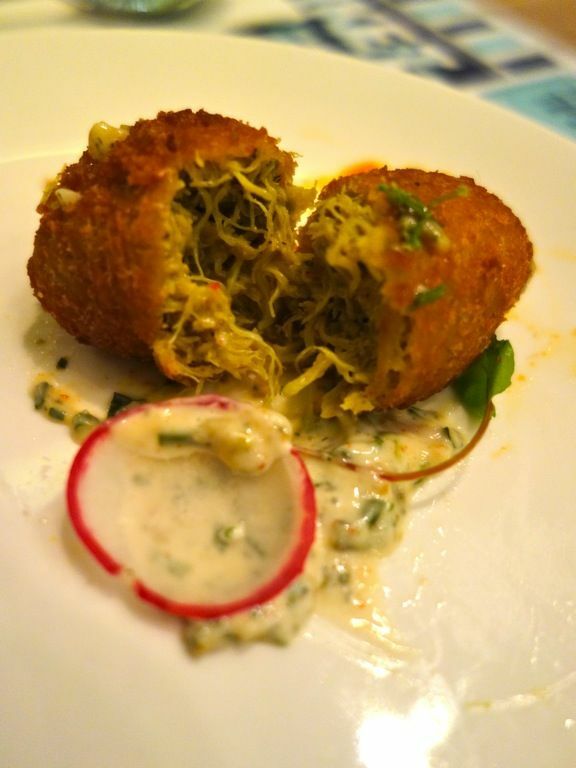 Crab Otak Croquettes ($12). These were more crab cakes than the otak (a coconut and chili seafood paste). The 'otak' component probably came from the Asian spices used, mainly lemongrass. The Chye Poh remoulade that it came with added a nice creaminess to the dish but i didn't taste any salty preserved vegetable though. 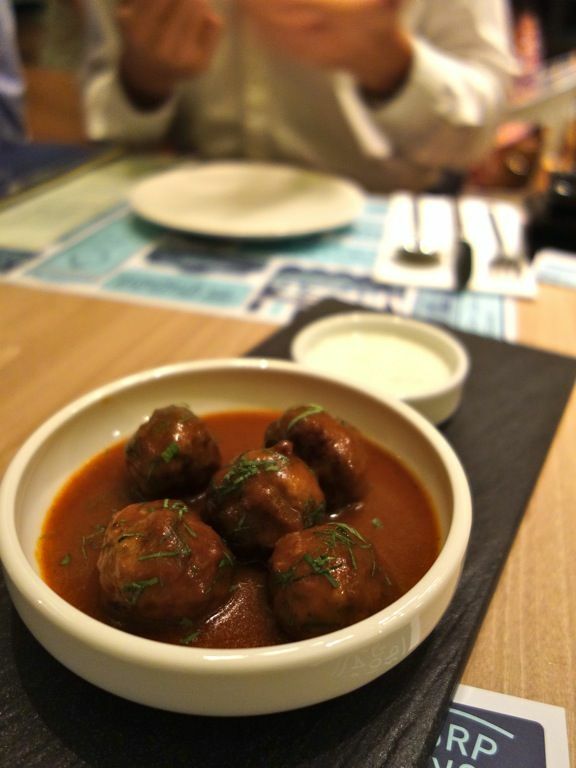 Lamb Meatballs ($12) were inspired by tulang merah (bone marrow) sauce. The balls were bouncy as no flour was used in making them. I'm not a fan of the sauce but the meat paired well with locally sourced Hay's Dairies goat milk yogurt. 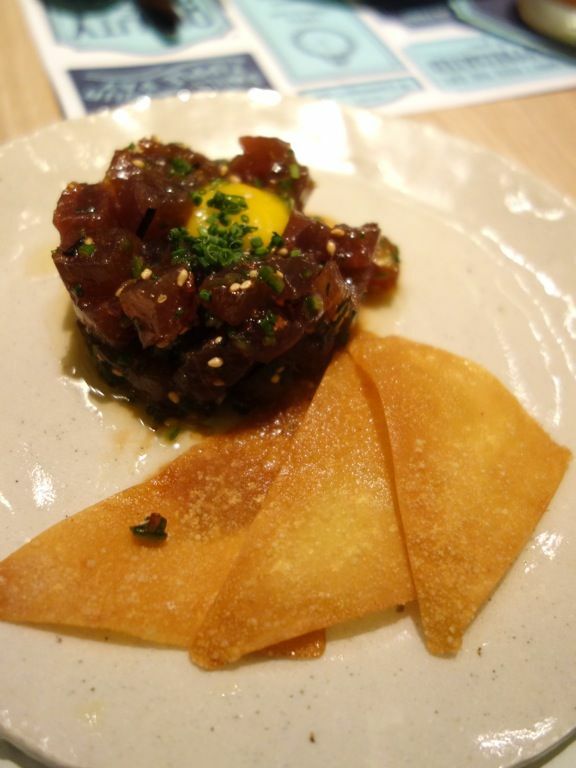 *Eat This* Spicy Tuna Tartare ($24), in cube form. I love Japanese Furikake seasoning on anything but it's the first time i had it paired with toro. Sambal belacan (prawn and chili) oil added a light spicy tingling sensation to the aftertaste. We are all familiar with Tau Suan, a sweet and starchy mung bean dessert but a savory Razor Clams Tau Suan ($20) was the first for me. The stock is a clam dashi which was very lightly flavored. I still can't wrap my head around it. Go figure. *Order this* Bak Kwa Mac & Cheese (sweet BBQ pork jerky) ($20) was one of our favorite dishes. Al dente penne was served in a liquid Gruyere cheese sauce with truffle oil and was well complemented by the sweet chunks of bak kwa. While the sauce may appear watery and diluted at the start, you'd appreciate the lightness in flavor as you progress through the dish. 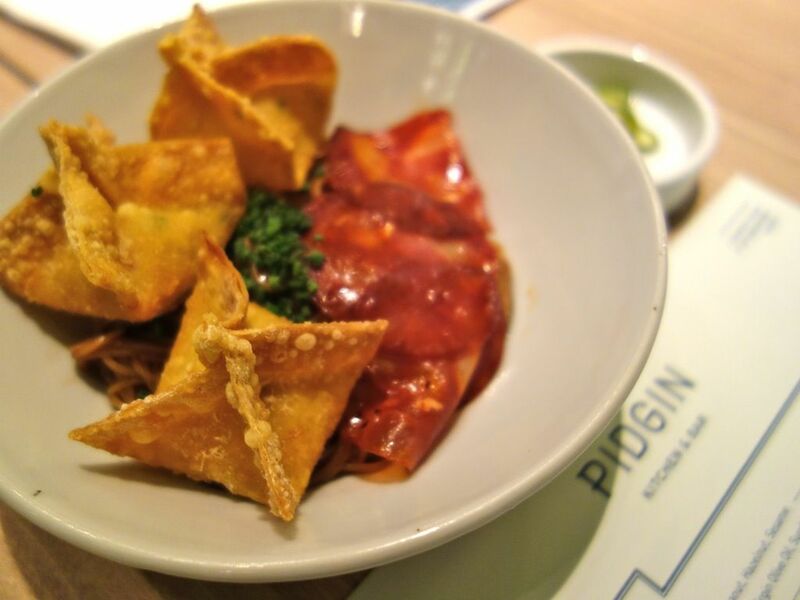 Doesn't the Lobster Wonton Capellini ($26) look like the regular wanton mee? This is the atas version of course. 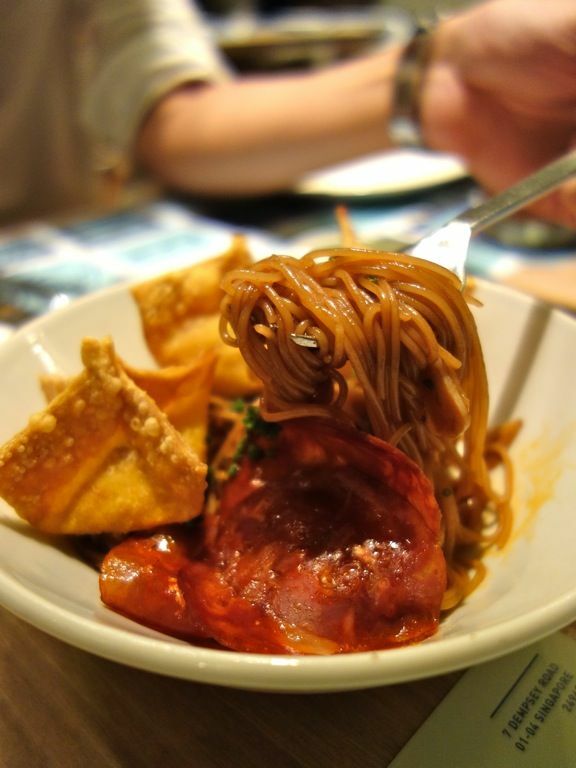 The pasta was tossed with the umami lobster oil and sweet sauce, thinly sliced chorizo Iberico. 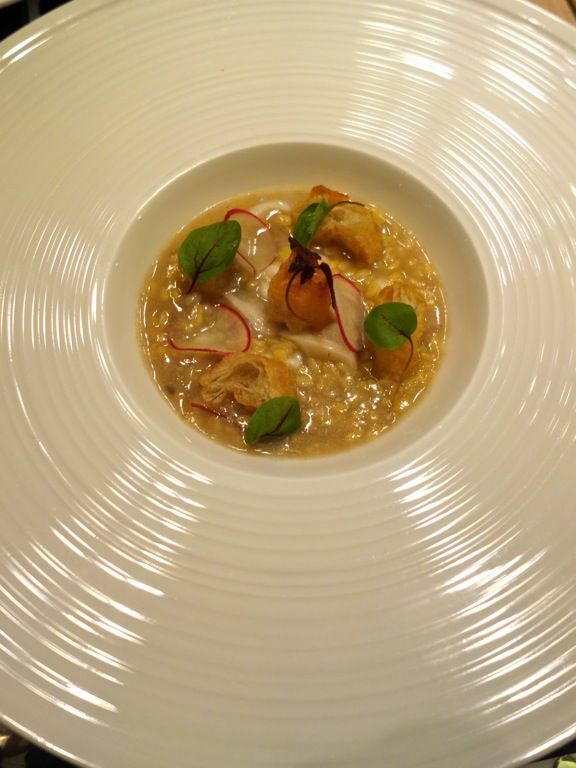 A waft of sweet Canadian lobster could be inhaled as one bites into the crispy wanton skin. Comes served with home pickled green chilies! 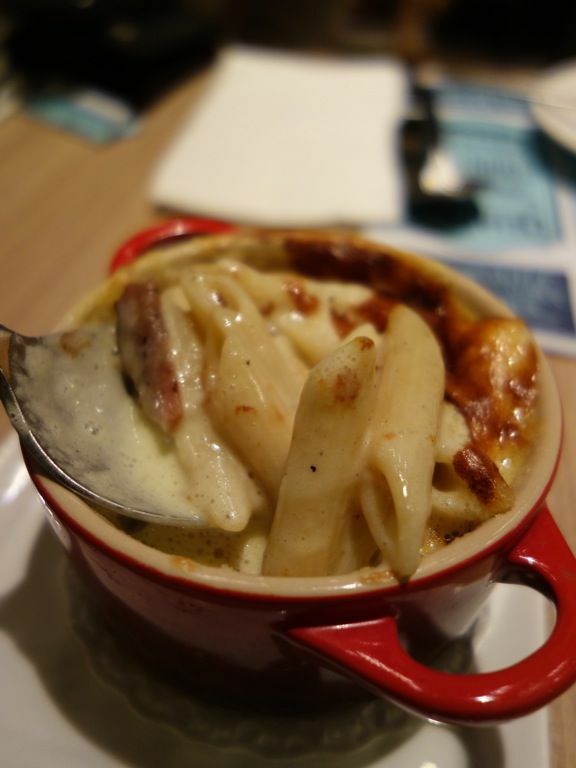 I realized that their pastas are all on the slightly sweet side. 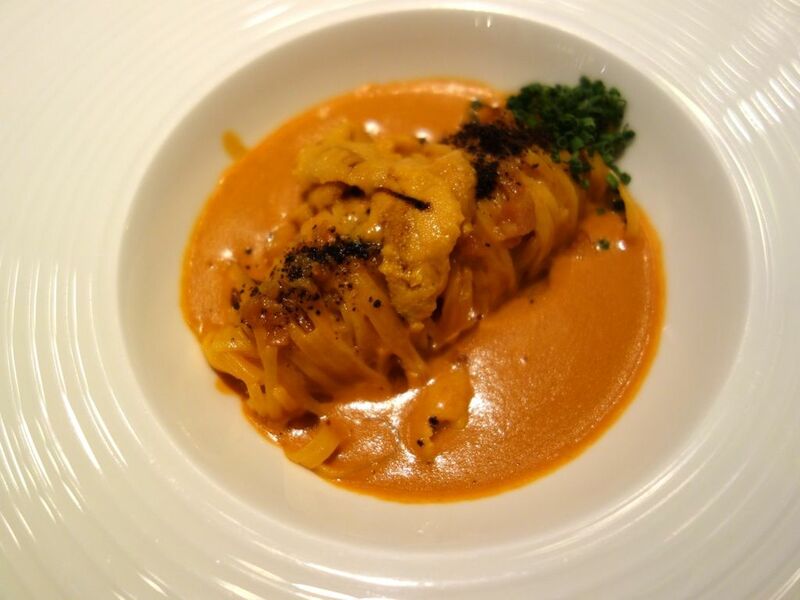 The Uni Tagliolini ($28) was in a rich pink crustacean cream sauce which was sweet as well. 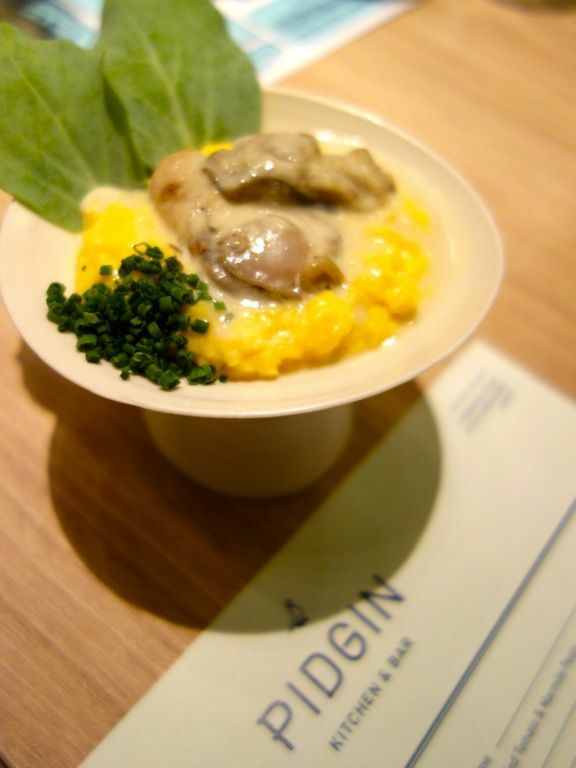 I wasn't too impressed with the Oyster2 Egg ($19). 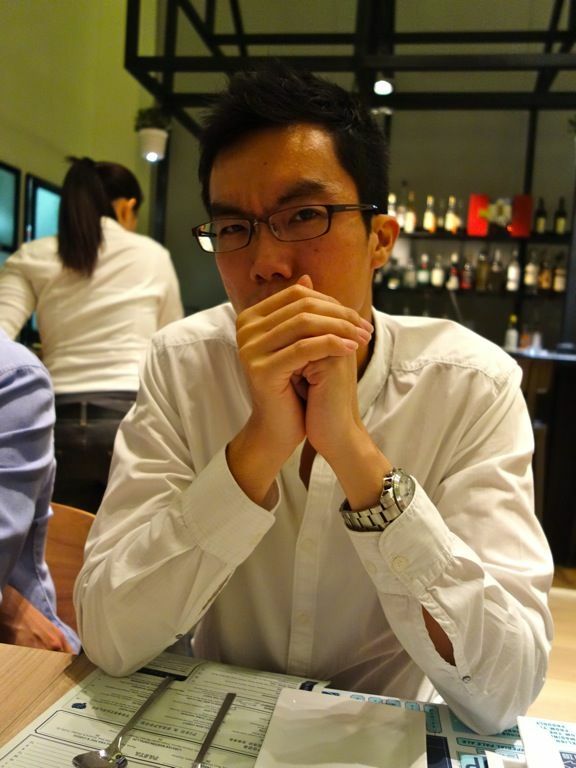 Actually i hated the fishy dried oyster taste but that's me. The fresh oyster from Hai Loong farm was pearly and juicy though. *MUST EAT* I loved the Quinoa ($13) salad very much and would certainly order this again. The chenopod was cooked in tomato and pandan broth in a pressure cooker to give it that rich flavor. 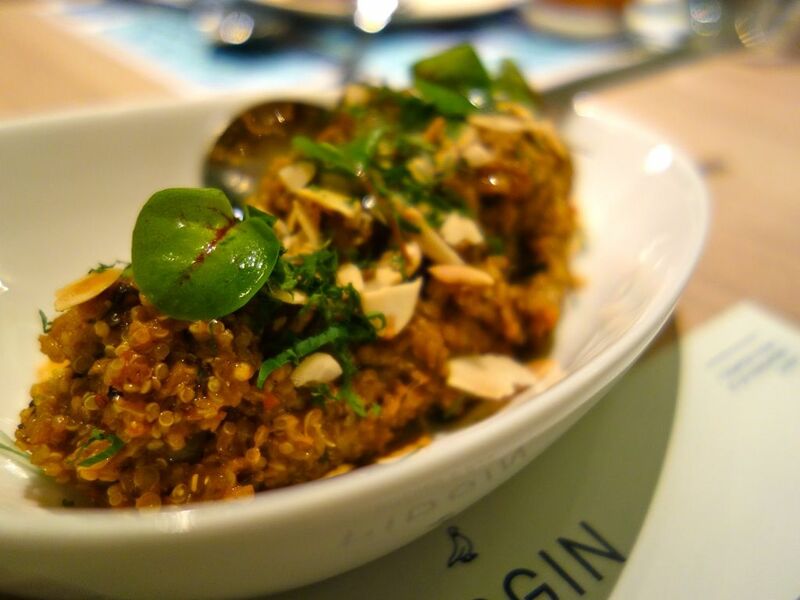 Tossed with preserved Chinese olive vegetables, Parmesan and almonds, the dish had a risotto-ish texture. I'm craving for this right now. *MUST EAT* Pork. Bone. 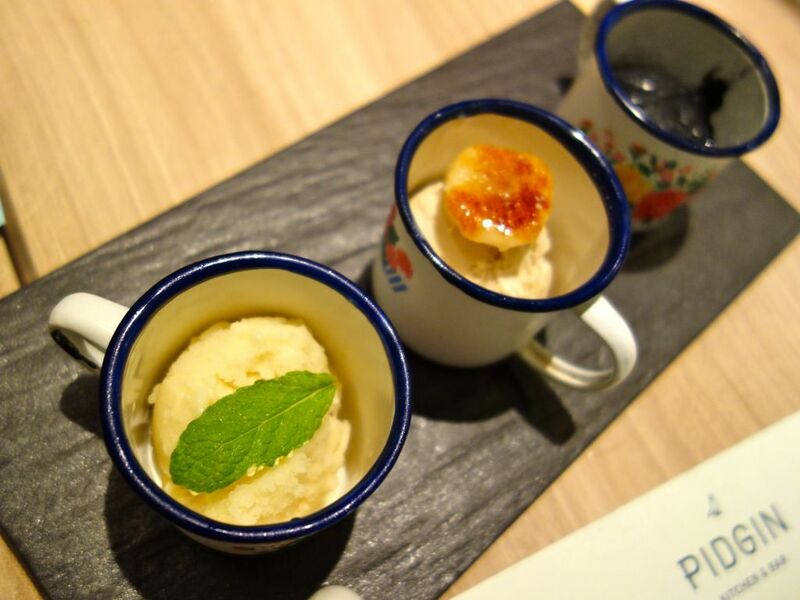 Tea ($24), inspired by local favorite Bak Kut Teh. 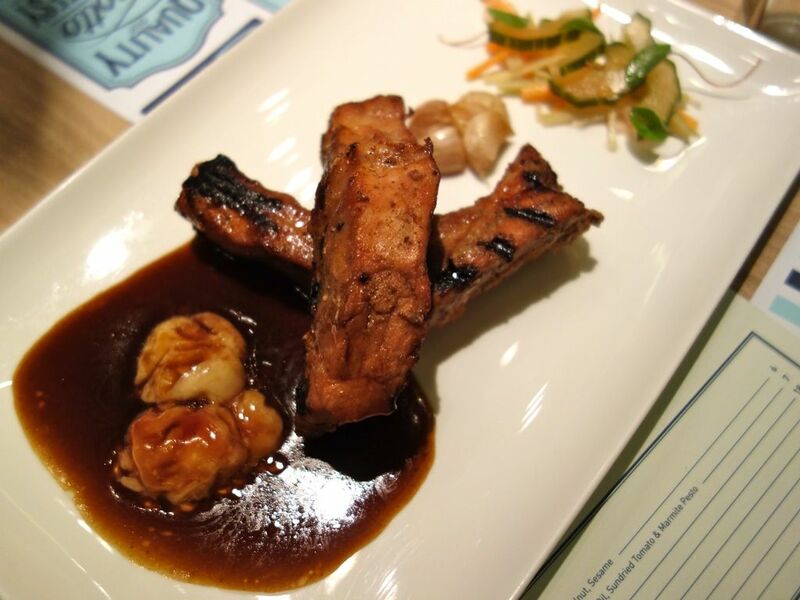 Tender Sous Vide Pork Ribs smoked with apple/cherry wood, beef bone marrow smoked with oolong tea, and a reduction of the garlic-pepper ba kut teh sauce. Absolutely mind blowing. 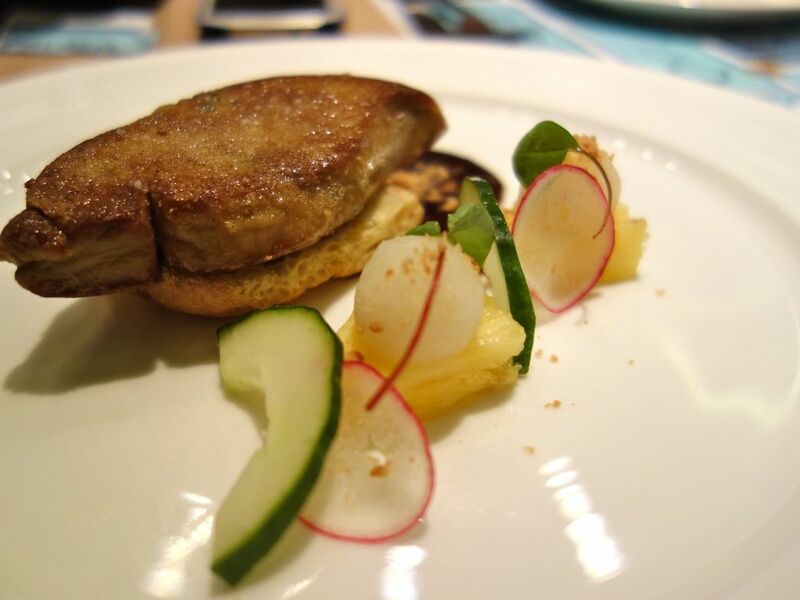 *Worth a try* Foie Gras with Rojak Sauce ($28). I was surprised that the pungent prawn paste could replace the typical acidic fruit compote so well. 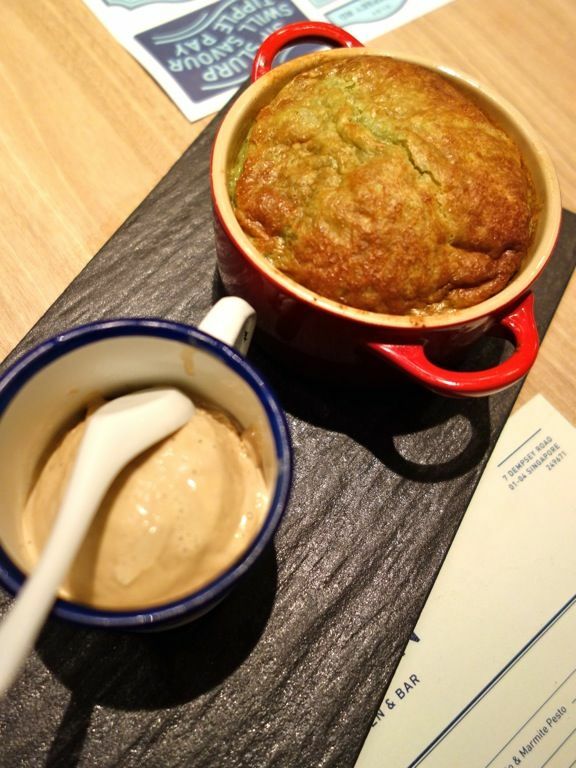 The fried Tau pok (beancurd skin) was also an interesting stand in for brioche. Lamb Rack ($38) was average. *HOT FAVORITE* Kaya Bread & Butter Pudding ($15) was the RAVE. The homemade kaya (pandan and coconut jam) had a long lingering fragrance and it came with a Hojicha milk tea ice cream. ZOMG. This is da bomb. Try it and you will know what i mean. *Order this* Chocolate lovers would dig the "Milo Dinosaur" Version 2.1 ($15). 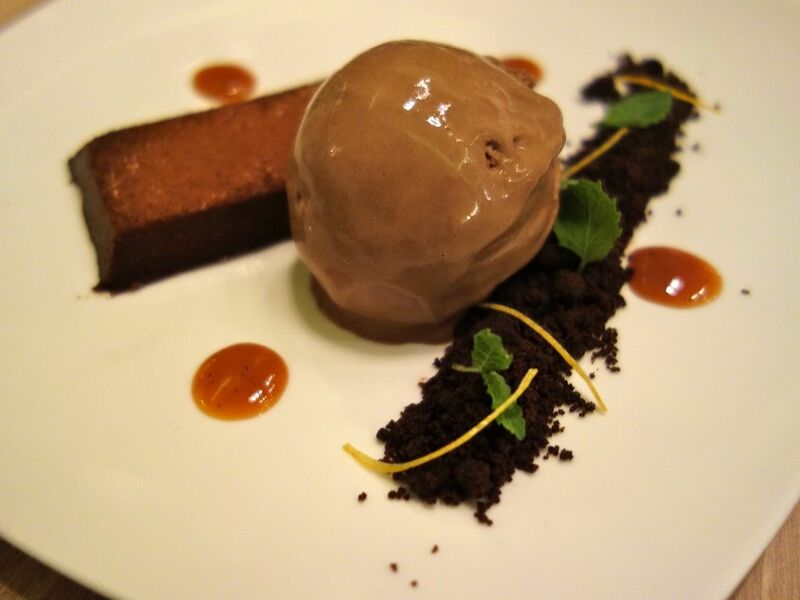 Super GAO milo ice cream is paired with a 72% dark chocolate flourless with milk streusel and dulce de leche. 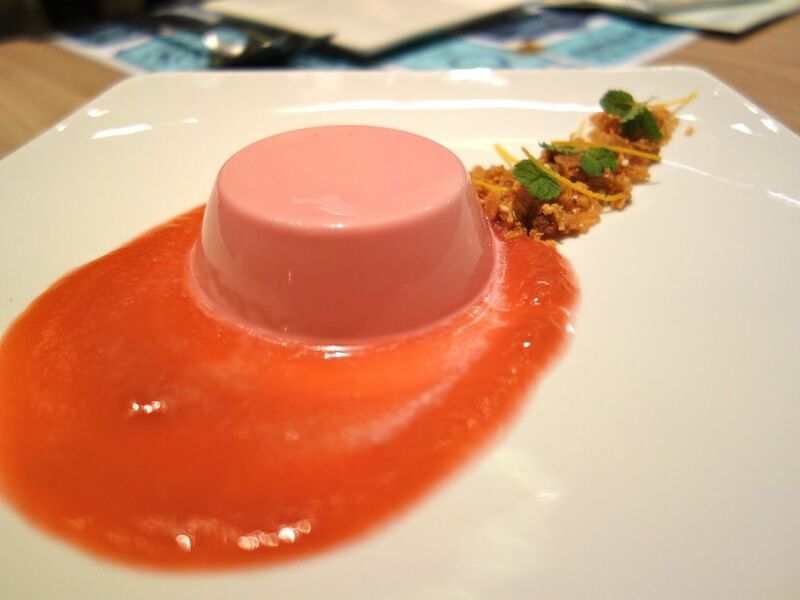 Bandung Panna Cotta ($12) was ok. Tangy rhubarb sauce, intense rose syrup milk pudding. Chef Adrian is constantly coming up with interesting creations and was experimenting with some ice cream flavors that night. We were the first to sample the Charcoal Vanilla, Goreng Pisang and the Pineapple Sorbet ($8 each). The banana was exceptional! 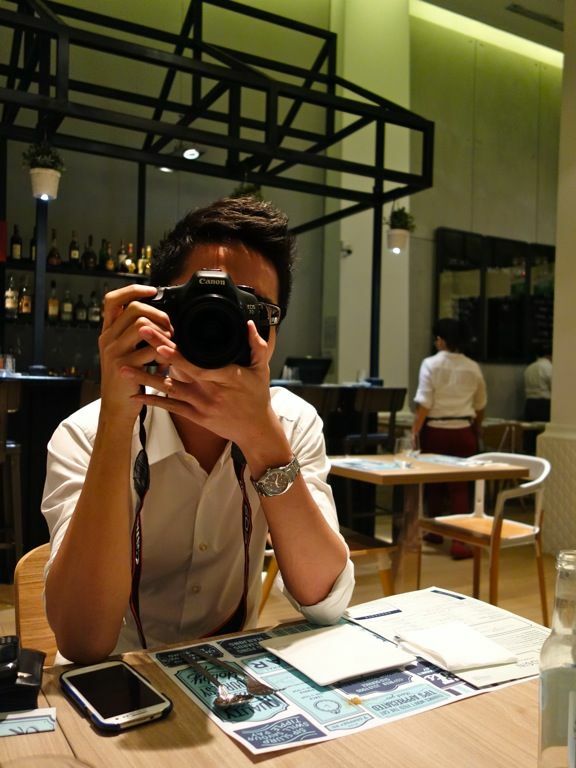 Camera showdown with @thechosenglutton was judged by @thehungrycow. MOO. 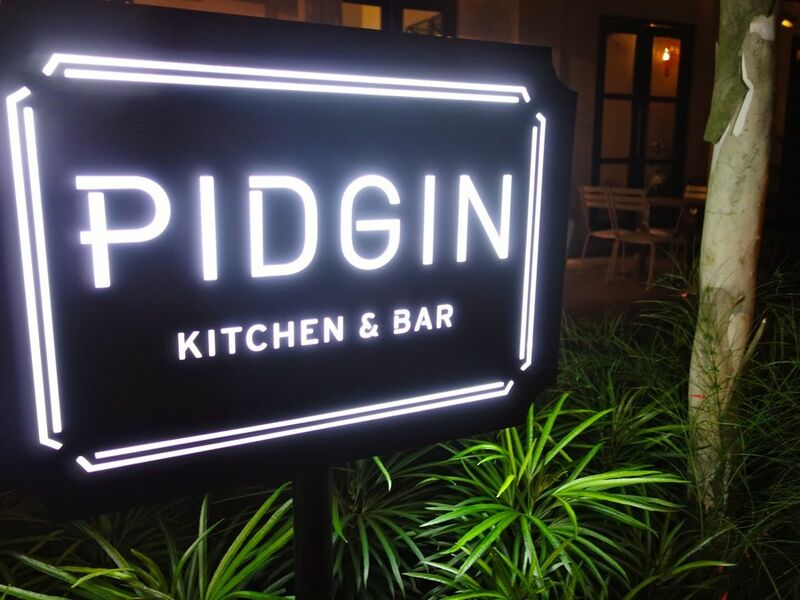 Pidgin Kitchen and Bar certainly deserves a spot on Ms Skinnyfat's Favorites list. I love the fun and playful dishes and flavors and you definitely would appreciate the thought that has gone into the creation of the sharing dishes. Definitely worth checking out!